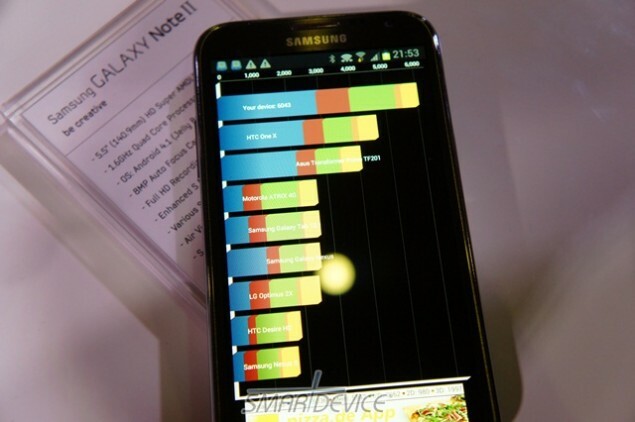 Alright, so we know the Samsung Galaxy Note 2 on display today at IFA 2012 is running very early software and is not final. That being said, we were still more than curious to see how the device performed in a round of benchmarks. 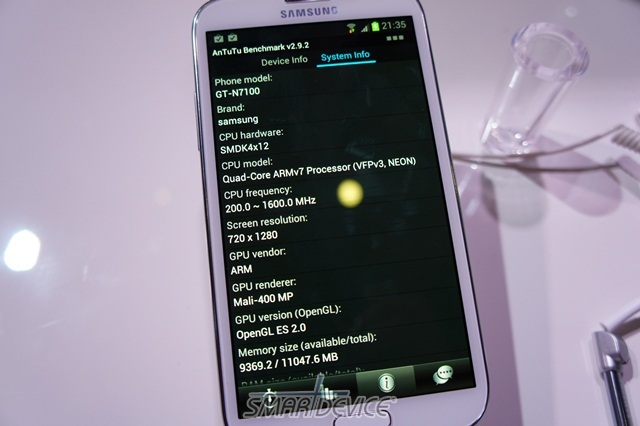 We've seen a few early benchmarks of the phablet back when it flew under the radar as the GT-N7100 in a GLBenchmark. Now it's time to see the rest as tested by the Korean blog SmartDevice. Quadrant: 6043 (by comparison, the international Galaxy S3 scored a 5200 running ICS). 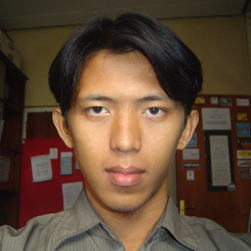 And yes, Quadrant can be easily manipulated � we know this. In this case, it's a score from a completely stock device running Jelly Bean. AnTuTu: The score wasn't picture but the Note was said to receive a score of 13,500 (Galaxy S3 scored around 10,000). 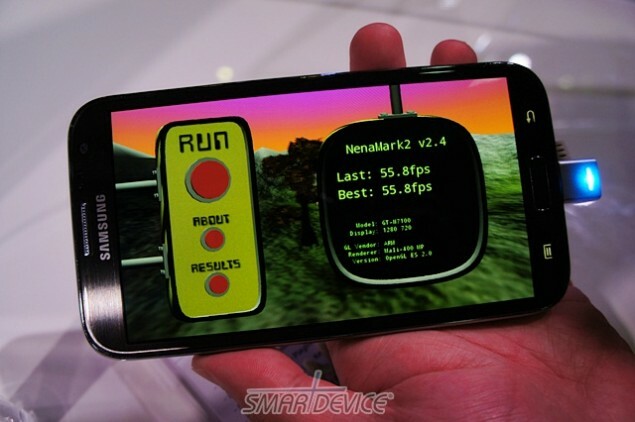 Nenamark2: The Note 2 scored a respectable 55.8 fps thanks to it's Mali-400 GPU. And that, my friends, just about rounds it up for the benchmark gauntlet. It's interesting to see the Galaxy Note 2 scoring better than the Galaxy S3 in many cases, but as I mentioned before, the Note is running a newer software version � Android 4.1.1 Jelly Bean to be exact � and a slightly higher clocked 1.6GHz Exynos quad-core, giving it the slight upper hand. It goes without saying that benchmarks are in no way indicative of "real world� speed, so please refrain from comments like, "My device scored over 9,000!� We know. You're awesome.